Is There Hope for the Rohingya? Leading Burmese human rights advocates call for reconciliation, support to halt the suffering of Myanmar's Muslims. Poverty and desperation fueled by misinformation is driving hundreds of thousands of Rohingya Muslims out of Myanmar amidst a storm of state-authorized violence. 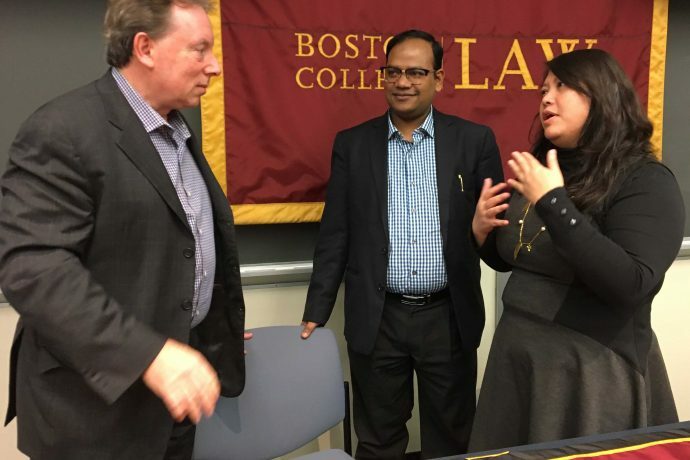 On November 14 at BC Law School, two leading Burmese human rights advocates made a heartfelt plea for reconciliation and support for families in Myanmar’s Rakhine State who have fled their homes in fear of persecution. Myo Win, executive director of Myanmar’s Smile Education and Development Foundation, said death threats and looming lawsuits have not yet choked out voices of dissent in the Buddhist-majority nation. “We have some hope inside of Burma. Some groups are working for interfaith harmony, interfaith understanding, and interfaith collaboration,” Win said. But without the global community’s backing, he said, there cannot be a sustainable solution to counter the upsurge in populist nationalism underlying the calamity. Myanmar desperately needs educational support to promote freedom of religion and belief among the Burmese youth, Win said, and also needs technical assistance to provide alternative sources of information to counter the “fake news” spread through social media that is exacerbating the tragedy. To understand the Rohingya crisis, it is important to note that the Burmese social structure is going through a transition, said Yee Mon Htun, a clinical instructor at the International Human Rights Clinic at Harvard Law School. While a democratic government led by Nobel Laureate Aung San Suu Kyi has replaced the military dictatorship in Myanmar, Htun said, the Burmese Constitution prevents key ministry positions to be filled democratically. This means the Burmese army maintains control of Myanmar’s security forces that are responsible for the violence against the Rohingya. The discussion was followed by a screening of the award-winning documentary “Sittwe” that follows the daily struggles of two Burmese teenagers in Rakhine State over two years. The 20-minute film, which was named Best Southeast Asia Short Documentary at the 2017 Freedom Film Festival in Malaysia, has been banned in Myanmar. 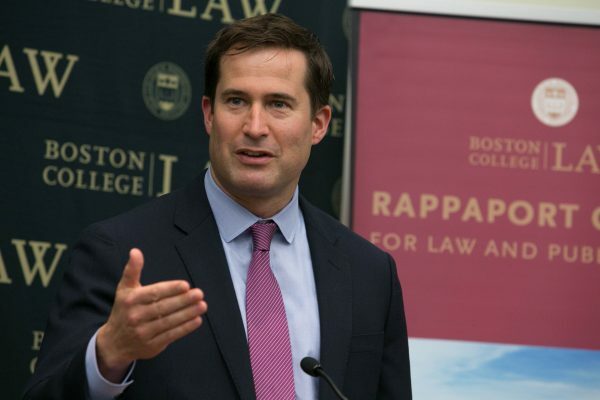 The Law School’s Owen M. Kupferschmid Holocaust/Human Rights Project and the South Asian Law Student Association hosted the discussion moderated by Professor Daniel Kanstroom to help provide an insight into the ongoing crisis.